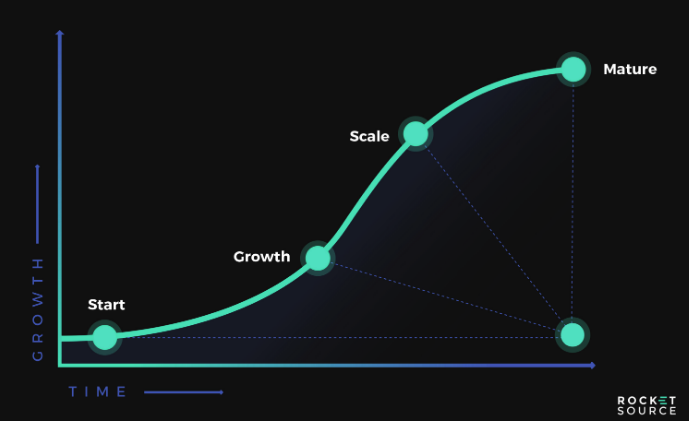 We have been able to enjoy predictable improvements and more success much faster than ever before. 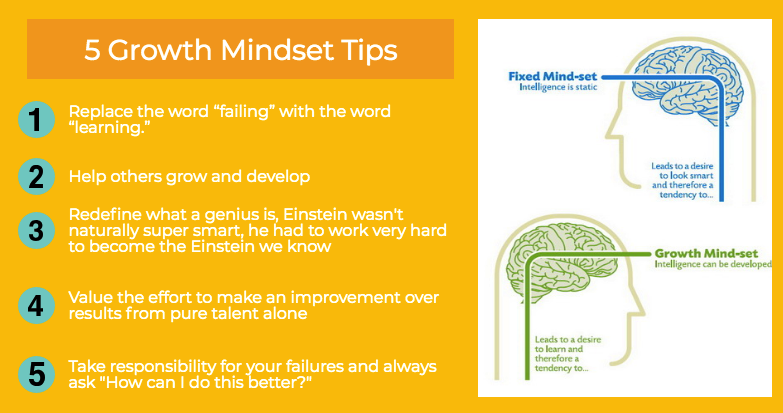 We’ll start with the aspects of growth mindset that everyone in your organisation needs to be aware of. Growth Mindset is a set of principles and strategies pioneered by the best selling author and Professor of Psychology at Stanford University, Carol Dweck. Her work is based on the idea that you are able to achieve continuous success without the unwanted negative side effects that can be common when you are passionate about getting a result. Knowing what the negative side effects are and understanding how to get yourself out of these pitfalls and back on track is critical, so we’ll be discussing this in much more detail later in the article. First things first, who is Carol Dweck and why should you care about what she has to say? Carol Dweck has spent decades of her life working hard on deciphering how people achieve success. One of her most powerful discoveries was that there are different ways to get results and some ways are much more effective than others. Some ways of gaining results are so detrimental to other parts of your life that you have to question the motivation to continue at all. That being said many schools, businesses and organisations cling to outdated and self damaging techniques. This is especially sad as to have a growth mindset doesn’t actual cost anything! What she discovered has gone on to be distilled into an easy to understand process that, if learnt and followed, can’t fail to be successful. 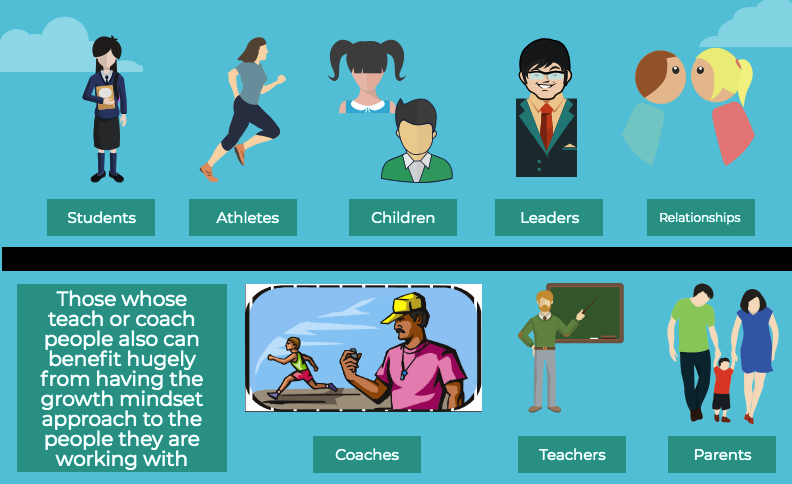 Who Benefits From a Growth Mindset? Let’s face it, achieving success is not as easy as it used to be. We’ve got access to more information than ever before. There are some seriously good processes and methods for getting things done in all industries, and competition has never been more intense than it is now. To stay in front the individual, coach or manager/leader and the actual organisation all need to do their part in adopting and encouraging a growth mindset. 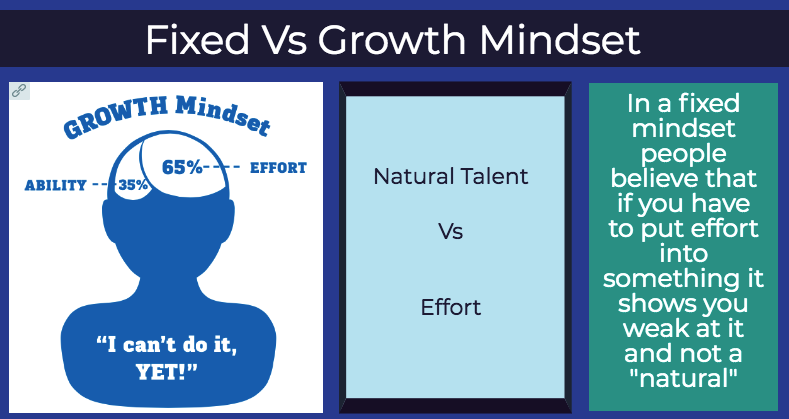 A good place to focus is by explaining the difference between a fixed and growth mindset. 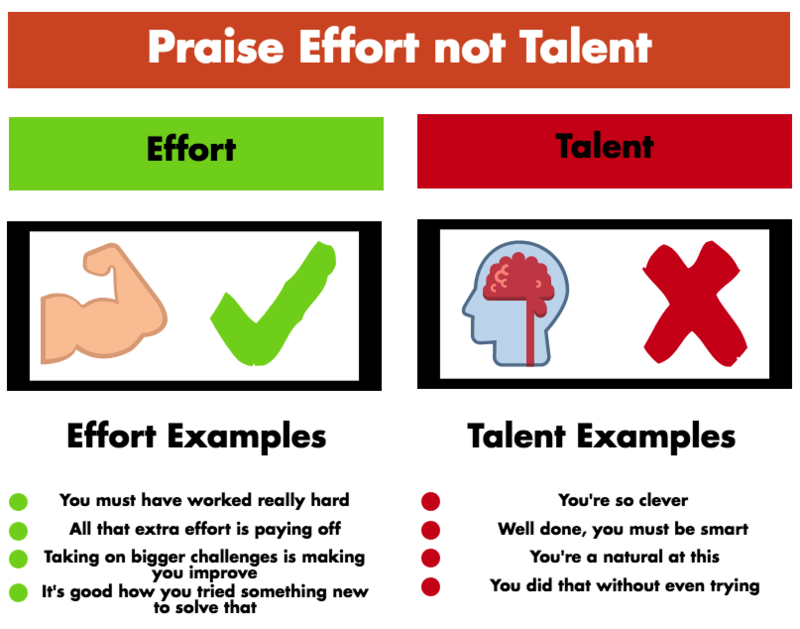 People who have a fixed mindset believe you are “naturally talented” at something whereas people with a growth mindset believe results can be achieved through hard work and a focus on continuously improving. Even though they understand skills improve in small steps, the actions they take and the responses they have can only be considered logical if you believe that performing like an expert can be achieved without practice. Another very powerful idea is the difference in views about failure. Fact is, there is so much data, studies and research to support the fact that those who are the most successful in the world have built their success on a serious of mistakes. Those with a growth mindset expect mistakes and move on quickly to the next mistake. Because of how quickly they can cycle through these mistakes, they can ultimately achieve more success and progress on to bigger challenges, which in turn leads to more success. Those with a fixed mindset do not allow or plan for mistakes (they would call mistakes “failures”). Because these “failures” are unexpected they have a strong negative emotional reaction that can take weeks, months or even years to overcome. As a result, learning a new skill isn’t much fun when you have a fixed mindset. 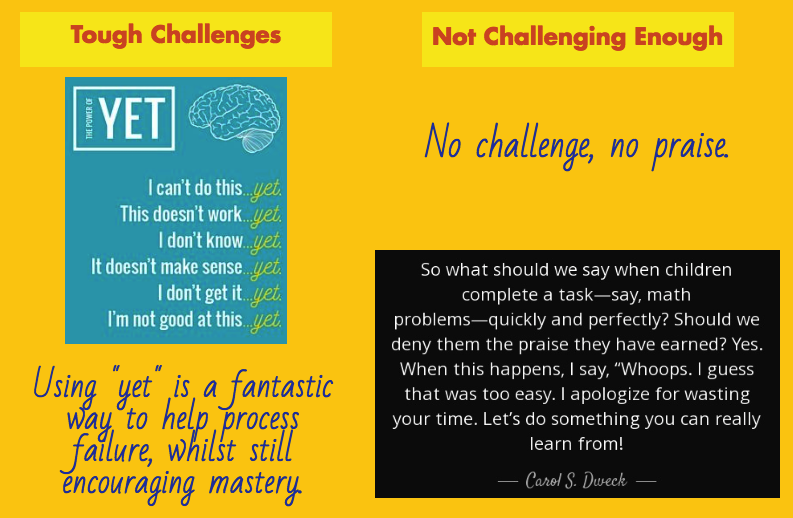 During her very extensive research Carol Dweck made a revolutionary discovery about the differences in the way the brain reacts to mistakes during the state of a fixed or growth mindset. 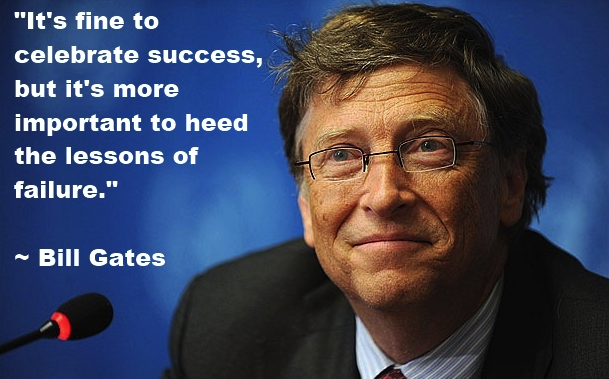 Did you know that before becoming the richest person in the world and owner of a company worth billions of dollars, Bill Gates was actually a failed entrepreneur? Back in the 1970s, way before Microsoft was even conceived, Bill Gates started a company with his business partner and co-founder of Microsoft, Paul Allen. The company was called Traf-O-Data and their big idea was to create a machine that could read the raw data from roadway traffic counters and create reports for traffic engineers. Despite this set-back they persevered with the business model for a number of years, before giving up the idea. So what inspired these two entrepreneurs to go on and create one of the biggest companies in the world, despite their failure with Traf-O-Data? Having the self awareness to recognising your own failure is hard to do, it’s a separate skill in its own right and needs to be worked on to perfect it. It is so easy to blame other people, circumstances, your environment, even bad luck! Anything that absolves you from blame and taking responsibility for the failure. This is particularly true if you are a person with a “fixed” mindset. People with a fixed mindset can be successful, but they do not react well to failure and are much more likely to give up or blame somebody else when things go wrong. People with a growth mindset, are much more inclined to see failure not as a failure, but as a lesson. Once you can look at your own failures in this way, it becomes much easier to deal with it, take responsibility for it and move on. 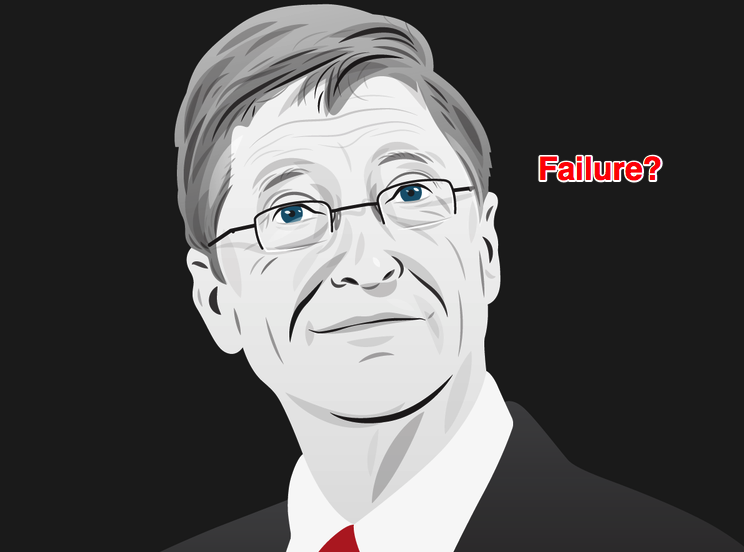 You are in effect “owning your failure” and, if it worked for Bill Gates, there’s no reason why you can’t take advantage of this mindset as well! If your visiting this website then you’re probably a bit like us – always on the lookout for quick and easy ways to improve the people in your team. Great news, we’ve got that covered to! 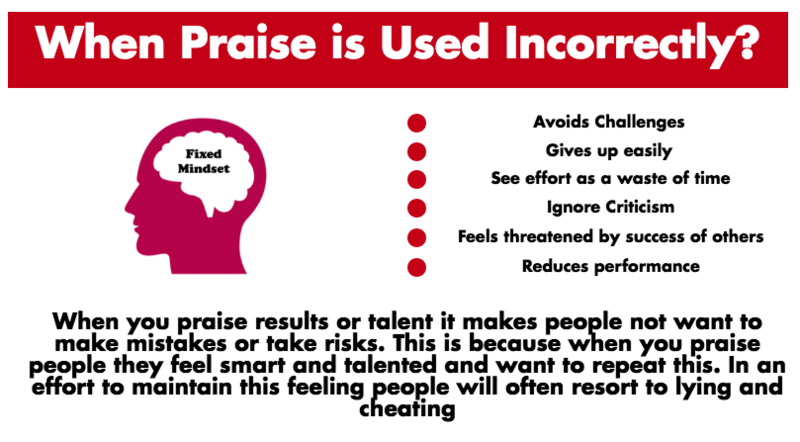 If you study Carol Dweck’s work on growth mindset it’s clear to see that there is a very real danger of using praise incorrectly. This is tricky because people want feedback. Learning what to praise and what not to praise is extremely important when you are instructing others in any need skill. When praise is used correctly it focuses people on the behaviour that you praise, in other words you will likely get a repeat in that praised behaviour. Sometimes people are worried about giving positive feedback, but if you use the examples above you can be sure that the praise you give is always going to be correct. Used correctly you can take huge leaps forward in your teams development. Lots of people we work with come from big organisations with large teams of people. To get the best results on changing the working environment the organisation has to do it’s part. A huge part of being the best in the world at what you do has been achieved by companies and organisations that have aligned their cultures and working environment to support a growth mindset. 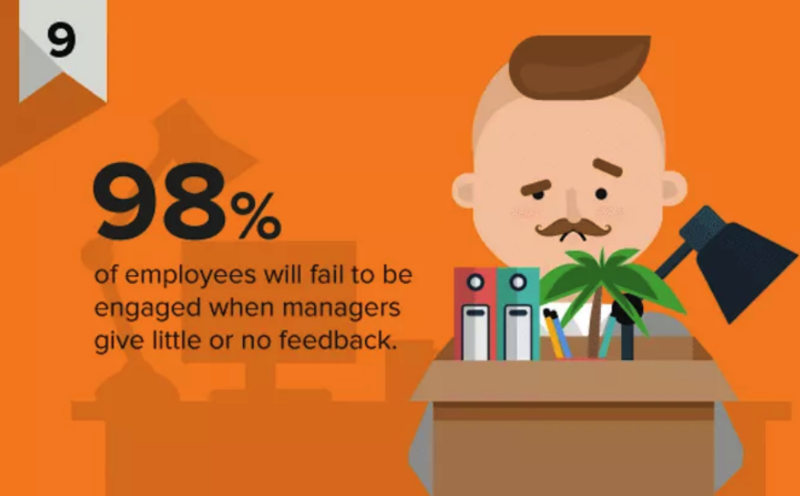 Everything that’s been covered so far is all relevant at organisational level, however the low hanging fruit and probably the most damaging to the development of people is the response that is typical to failure. Many organisations are guilty of encouraging a fixed mindset by having an unrealistic expectation when it comes to mistakes (failures). What this really comes down to is 2 different views of failure. Simply put, one view is much more realistic than the other. If people or organisations make decisions based on one failure, then they reduce their capacity to grow. If you understand that failure is just another step towards success, then you are able to make better decisions and have better outcomes. 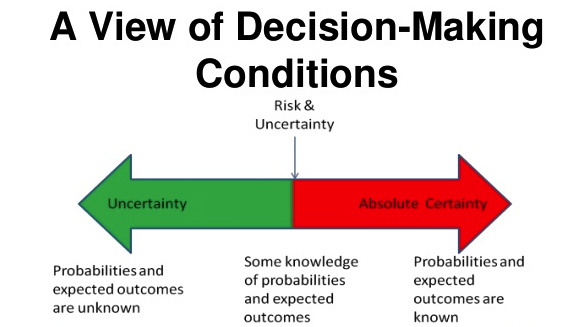 Another way of putting it is that if you take a path towards success that is not really a realistic one, you are much more likely to make a bad decision of what to do next, and will ultimately get a result you do not want. A useful skill to have is to learn to see the signs of fixed and growth mindsets. As leaders and managers you want to ensure you are encouraging the people in your team to push themselves to bigger and tougher challenges. So can a growth mindset be taught? 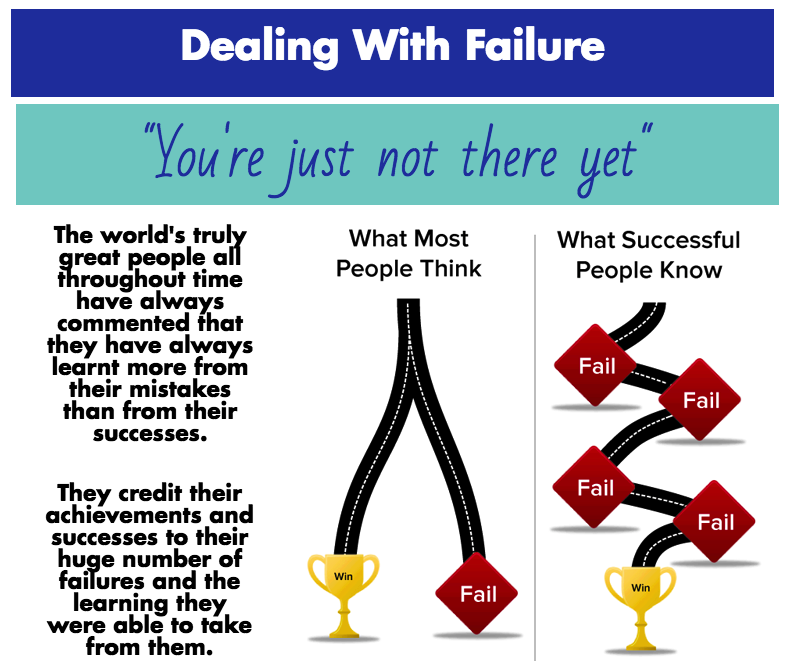 Using the concept of a growth mindset you can see your failure for what it is, a necessary lesson that needed to be learnt on the road to your success. Once you have done this, you need to give yourself the time to reflect on your failure. Reflection is the most important part of dealing with failure and this enables you to dissect what went wrong and how you can avoid the same mistakes in future. Now you are ready to move on to the next chapter in your story, armed with the knowledge that you have owned your previous failure, learnt from it and reflected on it, and guess what? You won’t make the same mistakes again! Remember, the difference between success and failure is a very fine margin. 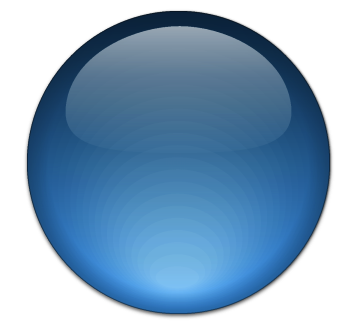 “In a fixed mind-set people believe their basic abilities, their intelligence, their talents, are just fixed traits. They have a certain amount and that’s that, and then their goal becomes to look smart and never look dumb. In a growth mind-set students understand that their talents and abilities can be developed through effort, good teaching and persistence. Our 4 focus areas for Growth Mindset for 2019. Which area from today’s post is likely to help you the most? Is it focusing on your own Personal Growth Mindset? 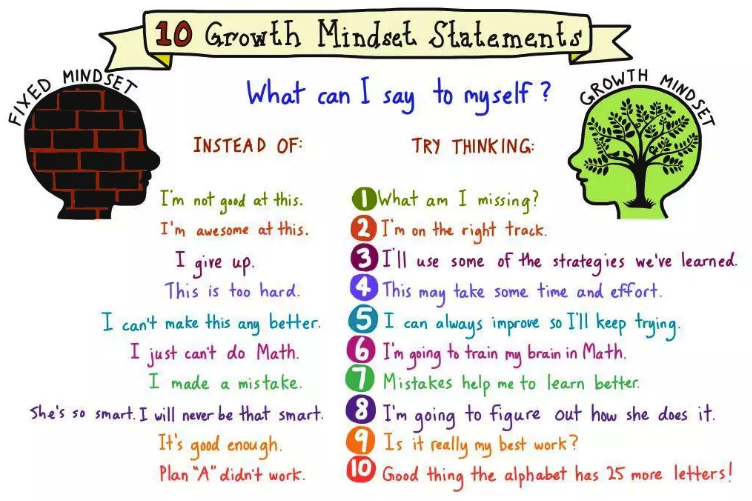 Or maybe you want to try teaching others Growth Mindset.